Who says learning can’t be fun? Summer Bridge Learning for Minecrafters, Bridging Grades 1 to 2 will keep your first grader’s skills fresh all summer long and help them start the school year with a clear academic advantage. 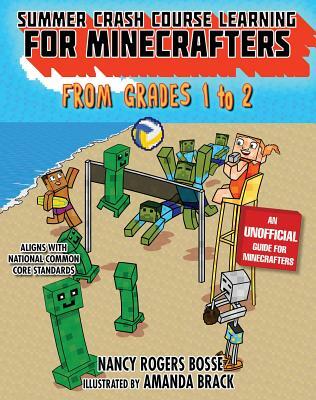 Thanks to colorfully illustrated pages and high-interest lessons based around familiar video game characters, young Minecrafters can practice and retain key grade-level skills with zero pressure and maximum fun. No more fighting the summer slide. With the kid-centered approach of Summer Bridge Learning for Minecrafters, kids will be equipped and willing to bridge the gap between one grade and the next and start school feeling like a winner.